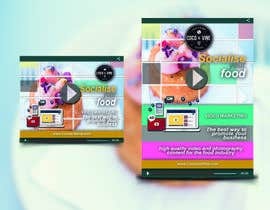 We are a producer of high quality video and photography content for the food industry. We require the following graphic elements to promote our services. We're relaxed and friendly to work with and looking for someone with the same approach. 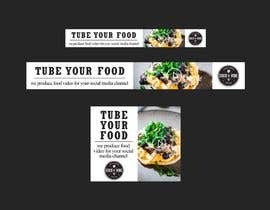 To create promotional banners and ads that compel restaurant owners who need high quality video and image content to be produced for their social media channels. 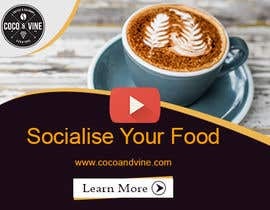 We are working with a well-known national food industry media company to offer services to their audience to assist them in moving their clients into the social media space. 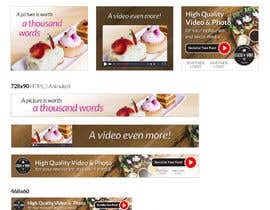 This will include promotion of 3 video promotional packages at attractive price points. 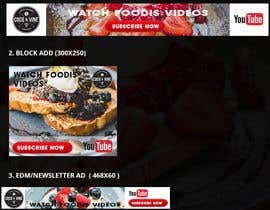 The ads will click through to a detailed landing page with the services and pricing information. 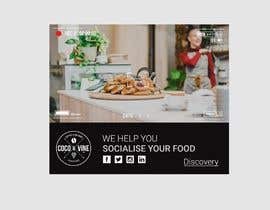 The ads will need to incorporate simple messaging that clearly communicates that the services are aimed at restaurant owners who are interested in improving their social media and website presence through the use of high quality video and photography. 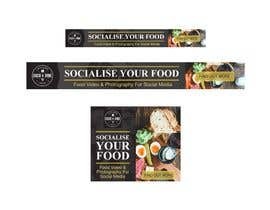 Catch phrases like "Tube Your Food" inferring YouTube exposure or "Socialise Your Food" could be incorporated to the call the action. 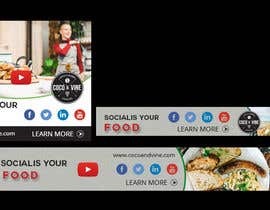 The ads will also need to allow for placement of 2 brand logos. 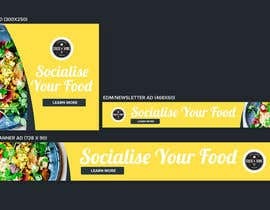 Animated ads are an option depending on the designer's thought's on area required to convey the message. 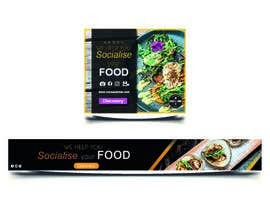 Imagery that emphasises social media, mobile media, video, etc. would be good elements to incorporate. 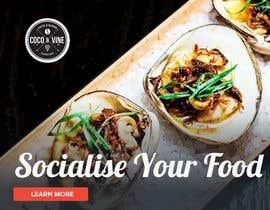 The audience for the promotional content is medium to high end restaurants in the Australian market. These are restaurant owners not consumers. The message needs to illustrate the power of high quality video on their social channels. We're looking to work with a designer on this content who has a bright, clean style and creative flare that clearly communicates the essence of the offering. 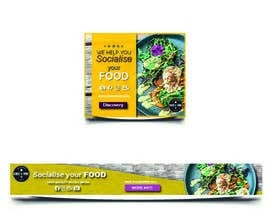 Attachments: Logo and samples of food images but many more available. 4. 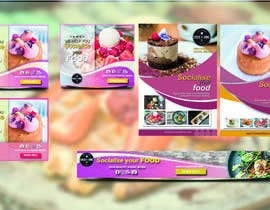 Print Ad for promotional brochure. Awaiting specifications from advertising partner. 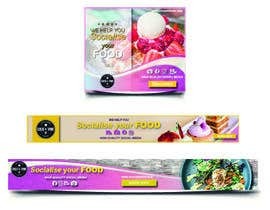 - Our general aesthetic is clean and bright with a focus on the food itself. - We have a large library of our high-quality images that will make up to majority of the design elements. - Clean topography and simple clear messaging is required. - The theme for the various elements should be consistent and therefore should greatly reduce design time. Hi everyone... Thanks for all the great entries! Our team are reviewing them now and will make a final decision very shortly.. Many thanks again for all the great work! Please check entry #52 . Thanks. Please check y design #24 and provide your feedback. Thank you. Working on it will deliver with in a day. Hi, thanks for the invite. Still working on it. Will post soon. Thanks... will keep an eye out for it.. Animated GIF, JPEG, Flash, HTML, HTML5 These all formats you want or just one format had to provide as an output? Just one format that best meets the brief. Anim GIF might offer a good option as the messaging is a bit complex and the service is video.. but happy to work with jpg if you can cram it all in there... Thanks! Working on it will deliver soon. Thanks. 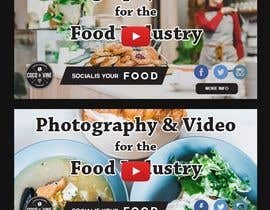 free tip: If you change "Food-Video-Photography-Services-Promotional-Campaign" into "I need HTML/Gif banner ads and print design" you'll probably get a lot more entries to this contest. You're welcome! Thanks so much... I'll try that! Cheers! 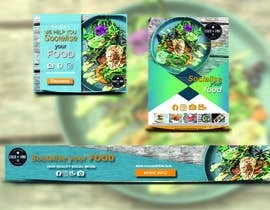 Hello, I'm a graphic designer and have experience working with animations. I work with my husband and he is a photographer and animator. We offer a completely full package of profesional photography, social media management and videoproduction where we live. 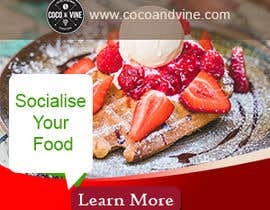 We are working to send you a proposal for Coco&Vine .Looking forward to work with you. Please checkout my entry and read description.